For many weeks now, we have been making a full use of the grill a friend gave us. A week ago, we invited our adoptive father to join us in our new found hobby- grilling that is. He enjoyed our conversation over the dinner table and liked the food so much. While we were eating he mentioned he had the same grill at home and said why not do it again the following week at his house. He said we didn't have to worry about food. Every thing was on him. We all answered "sure" and said we would bring ice cream. We got to his house a little past 6. 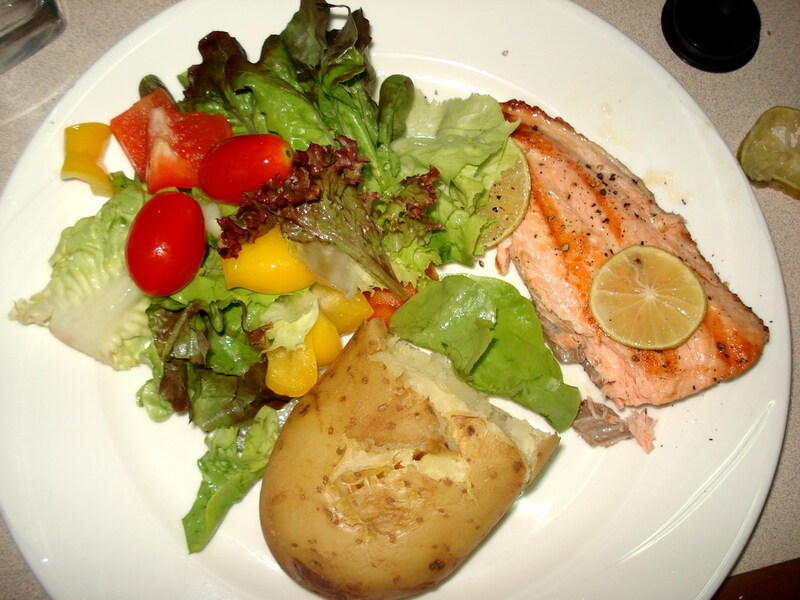 The smell of the salmon filled his house. We got very curious as to how he cooks so we all joined him in the kitchen. 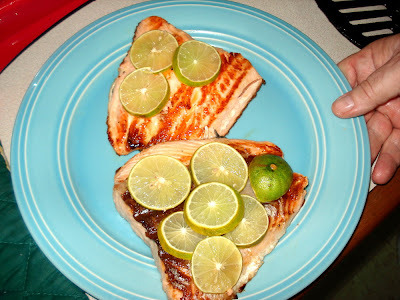 I found a few lemon slices on top of the fish. The guy certainly knows what he's doing. 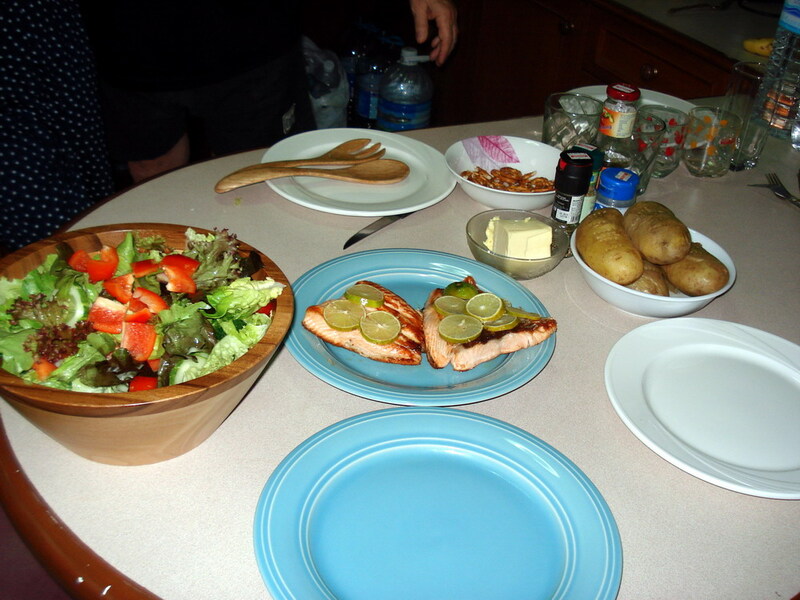 He asked us to toss the salad while he cooked the rest of the fish. The table was all set for dinner. 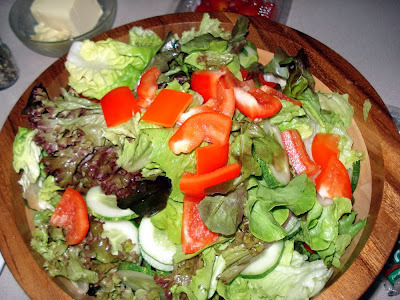 The salad consisted of cherry tomatoes, cucumber, lettuce and bell pepper. He had many choices of salad dressing. I ate my first serving with French dressing, then Italian with the second. The salmon fresh from the grill. The potato was well baked.